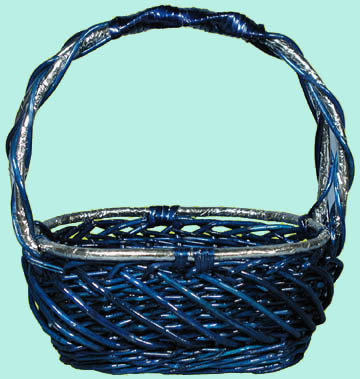 This Blue and Silver handle basket measures 9.5" long, 8" wide, 11" tall to the top of the handle, 4.25" high without measuring the handle. The dimensions are based on the outside measurements. It is only available as it is shown.